Mersija and Enes Kerkez are parents of four children, the oldest of whom, Alen, is studying at the Faculty of Forestry in Sarajevo. The father Enes says that some neighbors helped them financially so that Alen could go and study in Sarajevo, as the family did not have enough resources themselves. Enes said – laughing – that his four children Alen (20), Elvedin (14), Elvedina (13) and Mujo (7) were born in three different places, following the family’s numerous displacements. Mersija’s and Enes’ story began at the beginning of the war when they lived in the municipality of Kotor Varoš as a young couple. They were expelled from their homes in the village of Šiprage in Kotor Varoš and taken to a concentration camp for forced labor. Mersija says: “If I told you in detail from what we have all survived, we could write a novel”. They spent the entire war doing forced labor. During the war, Mersija was forced to work in the field, picking potatoes or doing other hard work ordered by the army, while Enes had to dig trenches and ditches on the front line. After the war, they got married and fled to Travnik where they lived in abandoned house. 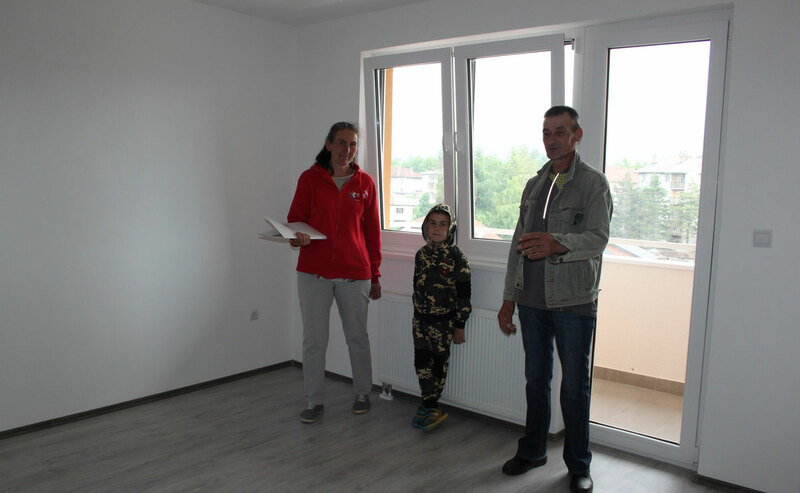 In 2008, they moved from Travnik to Bosanski Petrovac – again living in inhumane conditions in a tiny house – after which they moved to the present house in 2014 and currently pay a rent of 150 KM per month. Mersija says: “the present house is full of moisture. During the winter, we all have to sleep in a small kitchen because it is the only warm room”. Enes found a job in Bosanska Krupa where he worked on shaving trees in the woods. In 2014, a tree fell on Enes’ leg making him invalid, unable to do any physical work. Meanwhile, his wife Mersija decided to take matters into her own hands: in 2017, she got a job in a local sawmill and works on splitting and stacking wood. 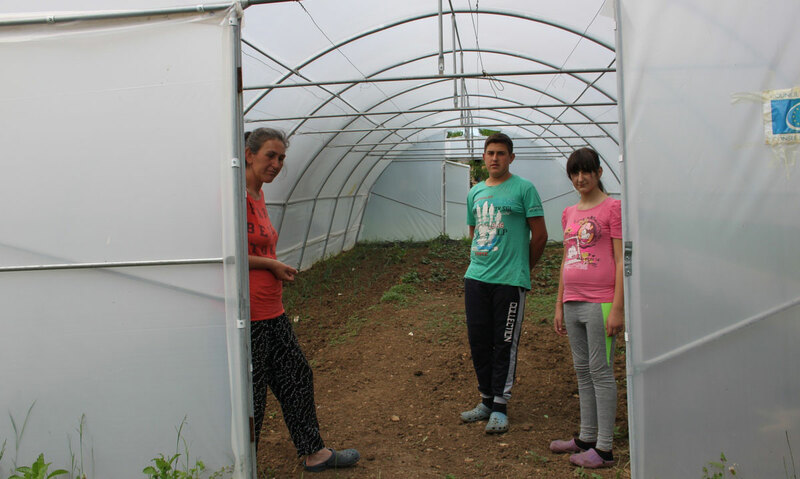 In addition, Mersija grows vegetables in the greenhouse which they received as a donation from Bosanski Petrovac municipality, and looks after their cow that produces milk for the family’s own needs. “There are no divisions in the family, we all do male and female tasks“, Mersija emphasizes. The Kerkez family is in a very difficult economic situation, having to live on Mersija’s modest salary, while Enes is registered as unemployed, without any income. Family Kerkez survives, “thanks to the help of good people“, as Enes says. Despite the difficult living conditions, they are in good spirits and believe in a better future. The family moved into the new RHP apartment in May 2018. Although they still lacks furniture for their new home, they are happy that, through the Catholic Relief Services, their oldest son will receive a two-year scholarship in the amount of 100 KM per month. “When we were informed by the municipality that they put us on the list for a flat, we first did not believe, but our dream came true. We have spent more than 20 years moving from one place to another and now, finally, we have a permanent home. This programme is a testament that adequate housing for us, the most vulnerable people, can be provided here in Bosnia and Herzegovina”.